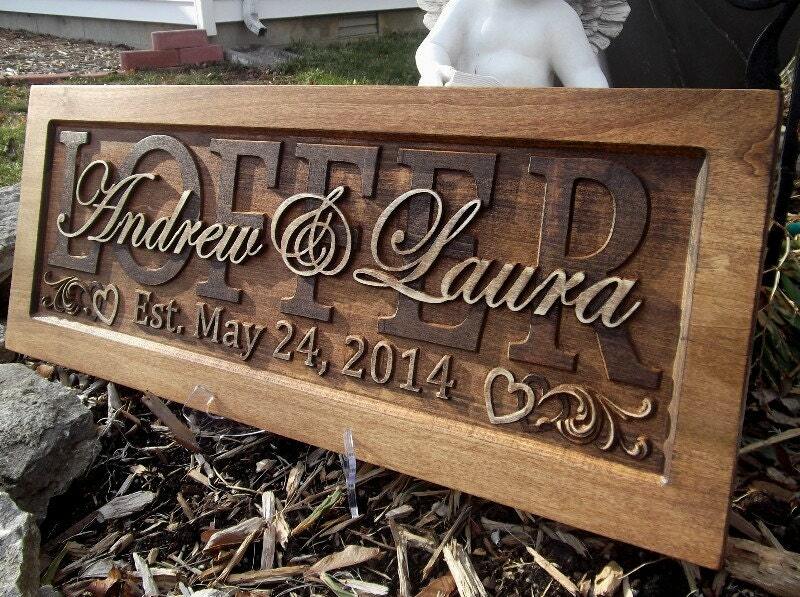 Each of our plaque are individually carved and crafted in 100% real wood. We have added two sawtooth hangers for your convenience and fast display! My husband and I received a sign as a gift for our wedding! I loved it so much that I had a sign made for my friends bridal shower! She loves it and plans to display it at her wedding! I think that everyone needs a sign like this!! This was beautiful! I did not expect it to be as beautiful as it is, the quility is just amazing. I would buy this item again. They do just wonderful woodworking.